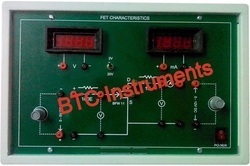 Manufacturer of a wide range of products which include dc regulated power supplies, photo diode characteristics apparatus, pn junction diode ch appts, helium neon lasers, battery eliminators and fet characteristics apparatus. 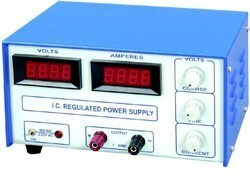 Dual Output DC Regulated Power Supply are constant Voltage & Current limit type supplies, have high regulation for Load & line Voltage variation. The supply can be use in independent & current tracking made. 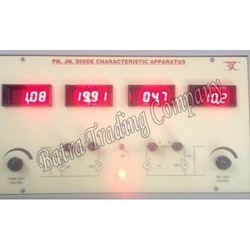 The supply are protected against short circuit & over load. 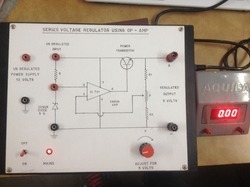 The output current can be limited to any value from 0 to maximum. OPERATING MODE: Independent & Tracking mode. PROTECTION: Against Short circuit & overload. Do.. with 4 meters(c) ..do.. two round meters of dual ranges. 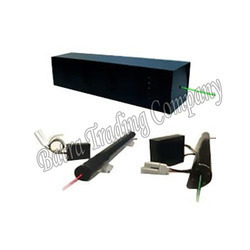 We are steadily making our way to the platform of success by manufacturing Helium Neon Laser. 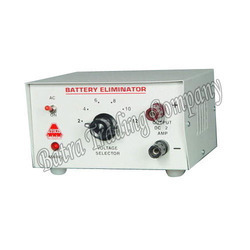 With an aim to cater to the varied demands of patrons, we are engaged in offering best grade Battery Eliminator. 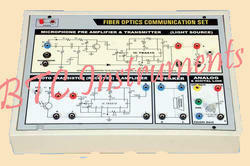 We are counted as a reliable manufacturer and supplier of Fiber Optics Trainer Kit. Designed as per the industry laid norms, the offered fiber optics trainer kit is known for its high performance, compact design and easy operation. Total quality management ensures that the quality of the offered fiber optics trainer kit is never compromised. 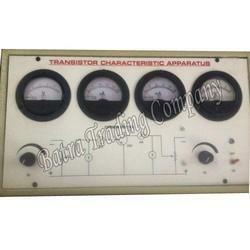 Customers can avail from us a wide array of Transistor Characteristic Curve Apparatus in assorted array. 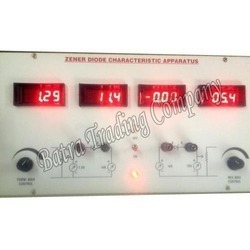 We are one of the most acclaimed traders and suppliers of a wide range of high quality Zener Diode Characteristics Appts. These products are known in the industry for fine engineering work done on it. Looking for BSC Electronics lab ?